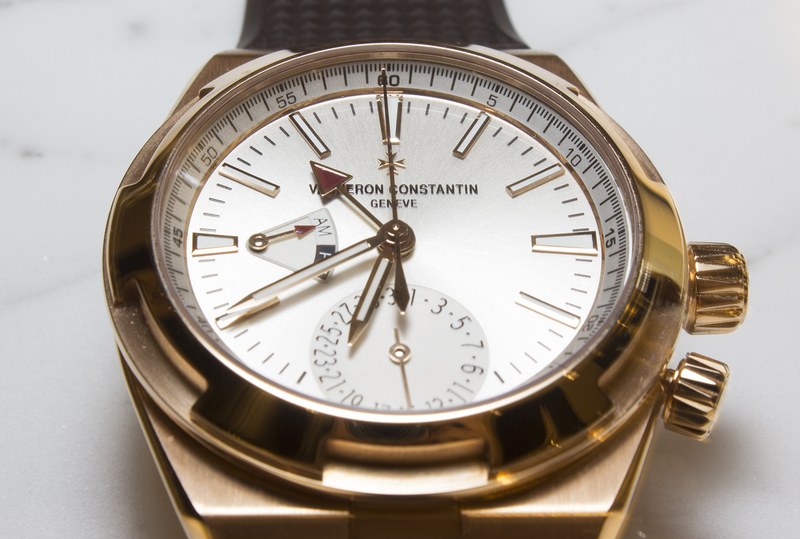 Just last year Vacheron Constantin overhauled its Overseas line of luxury sports watches in a facelift defined by aesthetic refinements as well as in-house movements. 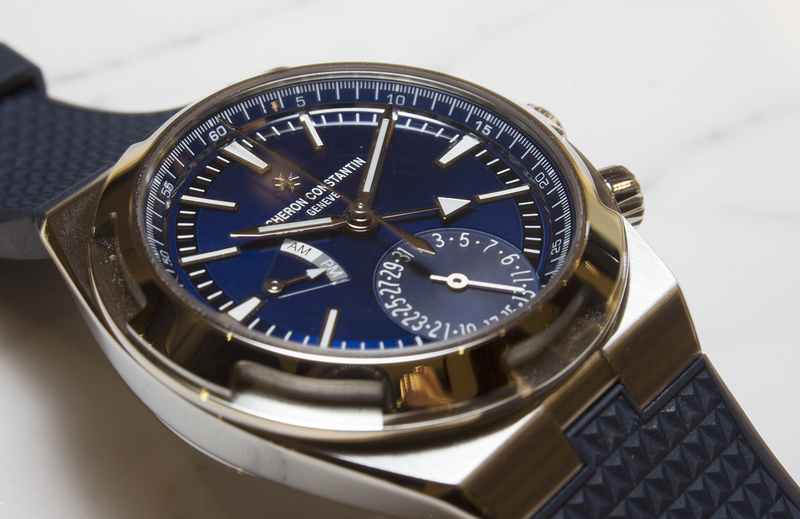 And now at Dubai Watch Week, Vacheron Constantin brings out the Overseas Dual Time. 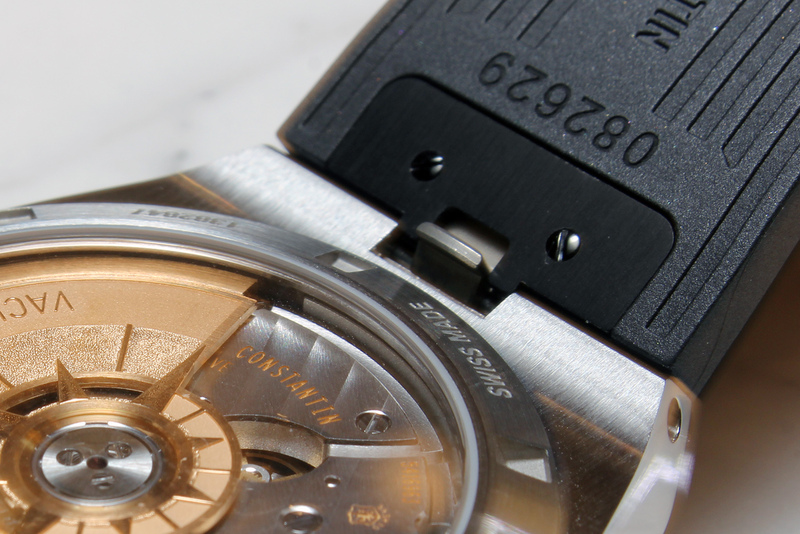 Although the Overseas line already includes a world time, the new Dual Time is a more straightforward travel watch. It adopts a functional display with two central hour hands for each timezone, the date at six, along with a day and night indicator at nine o’clock. 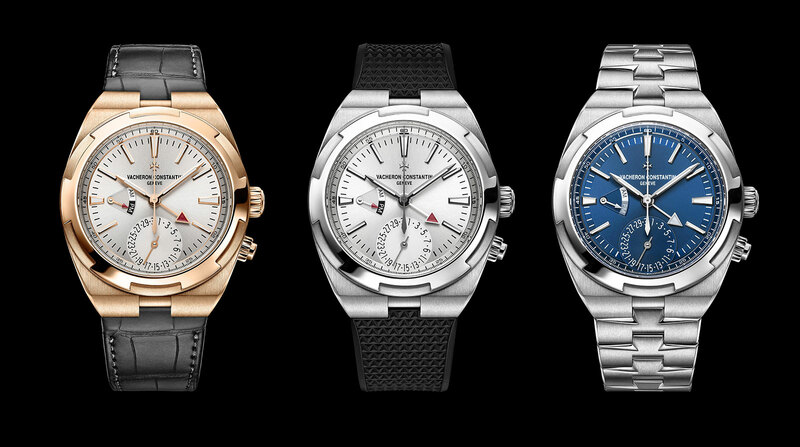 Though a new release, the Overseas Dual Time actually succeeds the first generation model, which was powered by the Jaeger-LeCoultre cal. 920 and discontinued several years ago. That had slightly sportier appearance with a busier dial, something the new Dual Time has done away with in favour of ease of use. The hour hand indicates the local time, while the red-tipped arrow shows the time at home. Both time zones can be adjusted forwards and backwards via the crown at three o’clock. In its first position the crown simply advances the local time by an hour, while the second position sets both timezones in sync. The day and night indicator is linked with the home time, while the date is for the local time display. A screw-down pusher at four advances the date. Identical in style to the other Overseas models, the Dual Time case measures 41mm, featuring the notched bezel that evokes the brand’s Maltese cross logo. It’s fitted with the new, in-house cal. 5110 DT, based on the cal. 5100 launched in 2016 found in the rest of the Overseas range. 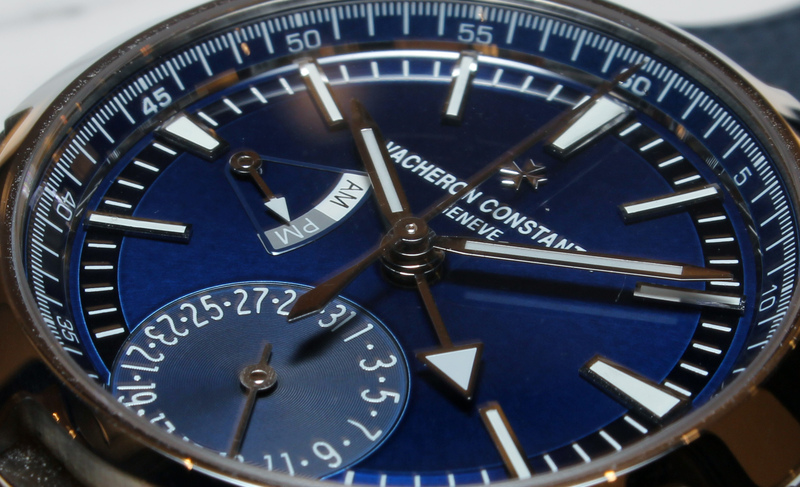 It has a 60-hour power reserve thanks to twin barrels. 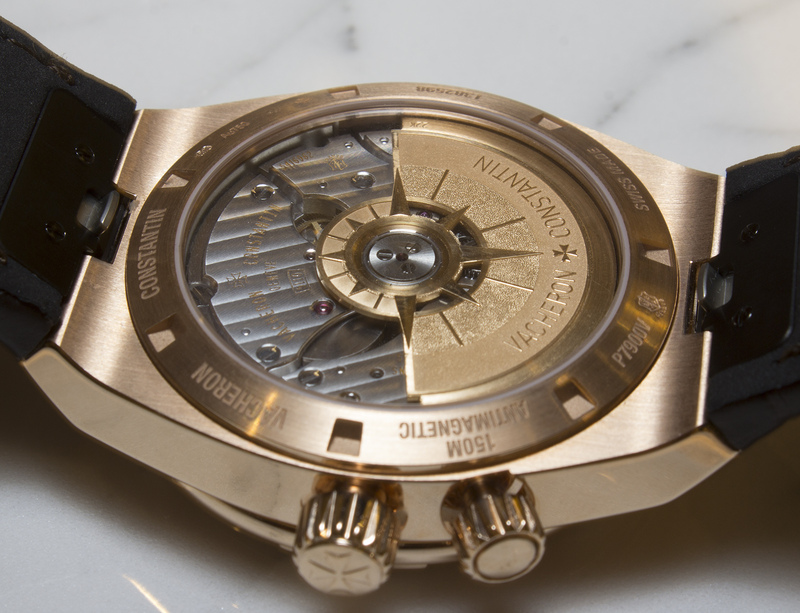 And like the rest of the collection, the movement is topped with a 22k gold rotor decorated with a relief wind rose, and encircled by a soft iron ring that protects it from magnetism. 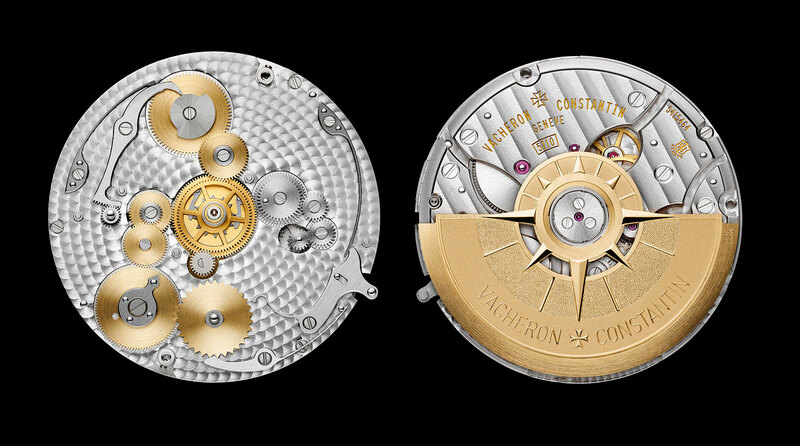 Naturally it also bears the Poinçon de Genève, currently a hallmark found on all of Vacheron Constantin’s mechanical movements. 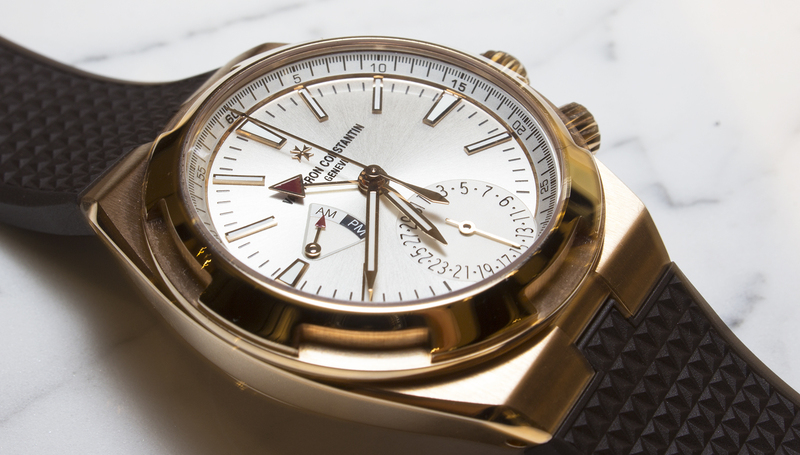 As it is standard with the Overseas collection, the Overseas Dual Time comes with a set of three bracelets (steel, rubber and leather), which can easily be swapped on and off using Vacheron’s quick-release mechanism – essentially an sprung catch that detaches the strap from the case. The Overseas Dual Time is available in three iterations: rose gold with a white dial and stainless steel with a white or blue dial. Both the blue (7900V/110A-B334) and white dial (7900V/110A-B333) Overseas Dual Time in stainless steel are priced at SFr27,510 or S$41,000, and in rose gold (7900V/000R-B336) it’s SFr46,313 or S$66,700.